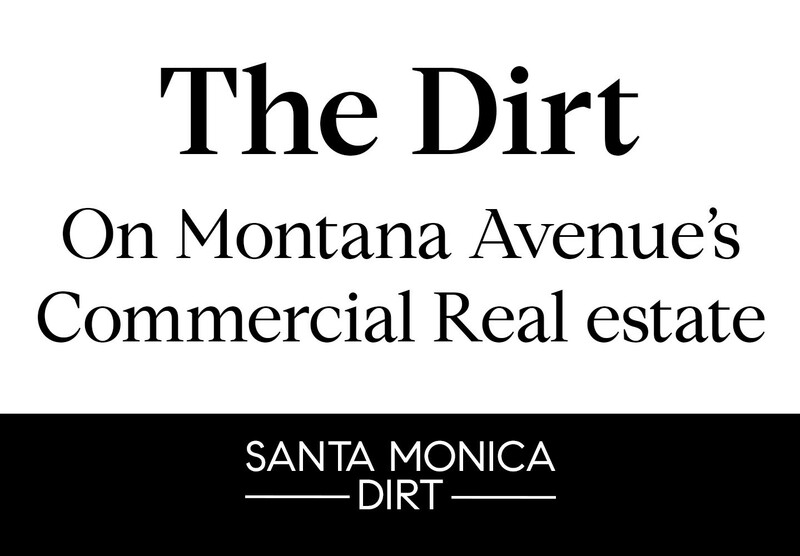 Since my group, Pence Hathorn Silver, has been selling Santa Monica real estate from Montana Avenue for over 30 years, people assume that not only do I know all there is to know about houses and condos, but also Montana Avenue stores, rents and trends. Because of this, I do try to keep up, hence this interview with one of my commercial real estate colleagues, Chuck Dembo. Chuck has been a trusted source and Montana Avenue commercial real estate expert for as long as I can remember. I caught up with him recently and persuaded him to sit still for this interview. I hope you find it interesting and useful. JH: What’s happening these days on Montana Ave, Chuck? What trends are you seeing? CD: In recent years, there has been a shift towards the beauty industry. Services and products, etc. Montana Avenue also has a great mix of stores and cafes and continues to be an important neighborhood shopping destination. JH: What is the average rent? CD: Commercial Rents on Montana range between $6 to $8/sqft per month. In addition to the rent, most businesses pay a portion of the Property Taxes, Property Insurance and building maintenance. JH: Is it true that almost all of the Montana Ave retail space is owned by just a few people or entities? CD: No, Ownership is very fractured. There are approximately seventy five (75) buildings located on the street. JH: Who are these owners? CD: All these buildings are individually owned by private families. No large corporations. There are a few groups that do own more than one building. JH: If a building became available for purchase, what do you think the price would be? CD: With any kind of property there are variables such as location, tenant mix, size and income stream. With Commercial, most investors look at the income stream or the potential revenue a property could generate. On Montana Avenue investors are willing to accept (pay for) a lower return between 4% to 4.5% on their investment due to the fact the risk is typically lower. In the past, buildings on the street have traded between $2,000 and $2,500 per square foot. JH: How does Montana Ave pricing compare to other shopping streets, like Abbott Kinney or Main Street? CD: Rents on Montana Avenue fall in between Abbott Kinney and Main Street. The rental range on Abbott Kinney is between $12 and $17/sqft per month. Main Street has a rental range between $4 and $6/sqft per month. JH: I see a lot of turnover for many of these shops. What are these failed businesses overlooking in their business planning? CD: True, over the years stores come and go. There are many reasons. The bottom line is that like any business, retail is hard work. If you do not put in the effort you can fall behind and that can be dangerous. On any street there are always businesses that are doing extremely well, most stores are profitable but there are always going to be a few that are hurting. There is competition in other areas of the city and online alternatives. JH: With rents so high, can any of these shops operate in the black or are they mostly just loss leaders for the brand? CD: Compared to other areas, rents on Montana Avenue are not that bad. The Landlords have done a good job of not pushing the rents to unrealistic amounts. They understand that it is important to keep the economics reasonable when considering the amount of business needed to ensure profitability while covering rent. Demand for space is also a consideration. JH: What was your first Montana Ave transaction? CD: Interior Design store Judi Boisson American Country at 1117 Montana about 25 years ago. Over the last 25 years I have been personally involved on about 145 lease transactions. JH: What were you doing pre-real estate? JH: What got you into real estate? CD: It was time for a change. I wanted to understand more about real estate as it is an important asset. After I obtained my license I almost went to work for a large developer but then met a couple of young guys that worked for Coldwell Banker Commercial (now CBRE). I also grew up around the business. Our family firm, Dembo Realty has been around for over 50 years. We are based in Beverly Hills and are known for Retail Leasing and Sales to International Luxury Companies. JH: Where do you see the market going? CD: The market for retail is going to continue to be challenging. The market for Industrial, Office and Apartments will remain strong. Residential will cool a little but will remain stable in the better areas due to steady demand. CD: We have a home close by in Pacific Palisades. One of the reasons I am always around Montana Avenue. JH: Where did you go to school? CD: Santa Monica College and UCLA. JH: What advice might you have for a new commercial real estate agent coming into the business? CD: I suggest going around and speaking with many different people to learn about what they do and how they do it. People considering getting into the business, or new licensees, can learn much from veteran agents, developers, loan brokers and investors. In residential Real Estate news, there are 5 new listings and 3 re-lists from 2018. 524 15th Street– Listed by Pence Hathorn Silver for $4,495,000. 3 bedrooms, 4.5 baths; approximately 4,000 sqft on a 50 X 150 lot. This house has been maintained to the highest standard since it was completed in 2007. Excellent construction and quality. The location is far enough from Montana Ave that parking is a breeze and it is close enough to the shops and restaurants that one can easily leave the car at home. 633 12th Street– Listed for 5,490,000. 5 bedrooms, 6.5 baths; approximately 6400 sqft on a 50 foot wide lot. Built in 1997 with a full basement and pool. This one is in need of updating but if you are looking for a size versus move-in condition, this house your best bet. 609 Palisades Beach Road– Listed for $21,875,000. 10 bedrooms, 12 baths; approximately 10,700 sqft on a 10,000+ foot lot. Built in 1999 to entertain with 3 kitchens and a separate guest house. Right on the sand with a pool, lawn and underground 6-car garage. Gorgeous views, of course! This house was listed back in 2014 for as high as $29M and as low as $19,995,000. After failing to sell, they leased it for $40k/month. 410 23rd Street– Listed for $4,295,000. 4 bedrooms, 3 baths; on a 60 foot wide lot with pool. 1920s Spanish with some updating. Last sold in 2009 for $2,414,000. 733 18th Street– Fully priced at $3,800,000. 3 bedrooms, 1.75 baths; approximately 1900 sqft on a 60 foot wide lot with a converted garage. This will be an interesting test of the effects on the decreased building size zoning changes. 248 14th Street– Listed for 4,299,000. 4 bedrooms, 4.5 baths; approximately 3400 sqft on a 50 foot wide lot with pool. Pence Hathorn Silver sold this house in 2015 for $3,395,000. The new owners updated it and although 14th is a well-travelled street, this listing has a good shot of selling quickly. 229 19th Street– Re-Listed for 5,999,000. 5 bedrooms, 7 baths; approximately 5000 sqft on a 60 foot wide lot with pool. This house has been listed and withdrawn from the market several times since it was built in 2014. It has been listed as high as $6,495,000 and as low as $5,799,000 and was also offered for lease. Perhaps this latest offering will do the trick. 251 21st Street– Listed for $4,650,000. 6 bedrooms, 5.5 baths; approximately 5200 sqft on a 60 foot wide lot with pool. Built in 1989 with large scale rooms and a traditional layout. Needs updating but word on the street is that this one received multiple offers and is under contract for more than the list price. 710 Adelaide Drive– Re-listed at $3,790,000 and that seemed to do the trick! Originally listed at$4,595,000 last August. 4 bedrooms, 3 baths; approximately 2,800 sqft on an approximately 7,500 sqft lot. This property has Landmark designation meaning it may not be torn down. It is a 1924 original “Pueblo Revival” style home with a pool and guest house. Was listed back in 2014 for $3,500,000. No 2019 closed sales in the 90402 but our 307 25th Street is set to record later today!